Rotarian of the Week or Much Longer Than That? There were a lot of District Governors (past, present, and future) at our meeting. 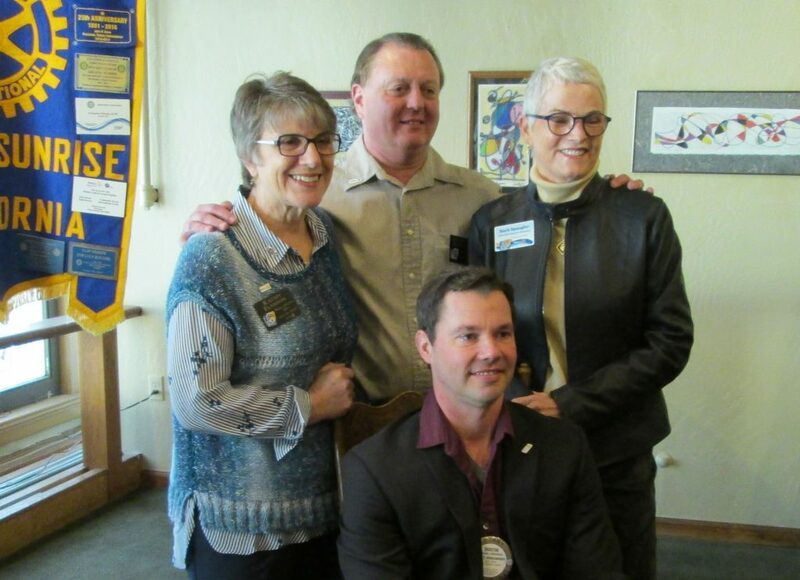 They were there to welcome the newest member to their ranks – Sunriser Dustin Littlefield has been selected to be the Governor of District 5130 for the 2021-2022 Rotary Year! Congratulations, Dustin! We usually honor our Paul Harris Fellows at our Foundation Final Friday meetings, but with a gaggle of Governors on hand for Dustin’s ascension (see above), Foundation Chair (and Past District Governor) Terri Clark decided not to wait. So she enlisted the help of DG Barb Spangler and DG2B Dustin as she thanked Lori Breyer for earning Paul Harris recognition for a sixth time! Dustin was especially happy to welcome Malinda Damme to the PHF ranks, since she joined our Club in 2017, during his term as our Club President! Thanks to both women, and to all Paul Harris Fellows! Our Club’s Official Recognitions Chair is also known as the “Justice Of Your Club“, which is abbreviated “JOYC“. She recognized several Sunrisers (and one former Sunriser) for some amazing stuff. These included Bryan Plumley, for pursuing higher education; Maggie Kraft, for her presentation the previous week; Lori Breyer, for weddings galore; Ashliegh Diehl, for earning her CPA and for her excellent work as the District 5130 Treasurer. We also heard from Assistant Governor (and past Sunriser) Cindy Sutcliffe, who reported on the fantastic service she and her husband received while celebrating their 20th anniversary. 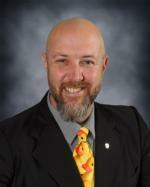 Humboldt County Superintendent of Schools, Chris Hartley, spoke briefly about the Humboldt County Office of Education’s commitment to providing access for local students to a wide range of occupational possibilities. Chris, a member of the Rotary Club of Mad River, told us that HCOE has established a number of technical education programs, including the Trades Academy and the Health Career Exploration Program. Chris introduced Featured Speaker Jack Sheppard, who heads up the Trades Academy for the Humboldt County Office of Education. Jack told us that the Trades Academy has a mobile lab that allows him to bring his “classroom” to students throughout the county, giving them hands-on opportunities that they might not experience otherwise. Click here to visit HCOE’s Education At Work website.